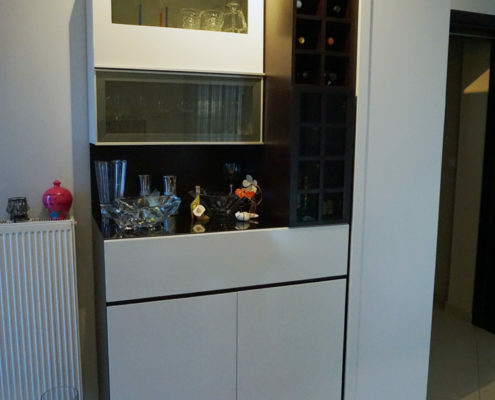 The client wished a custom made storage console for the entrance of her house. 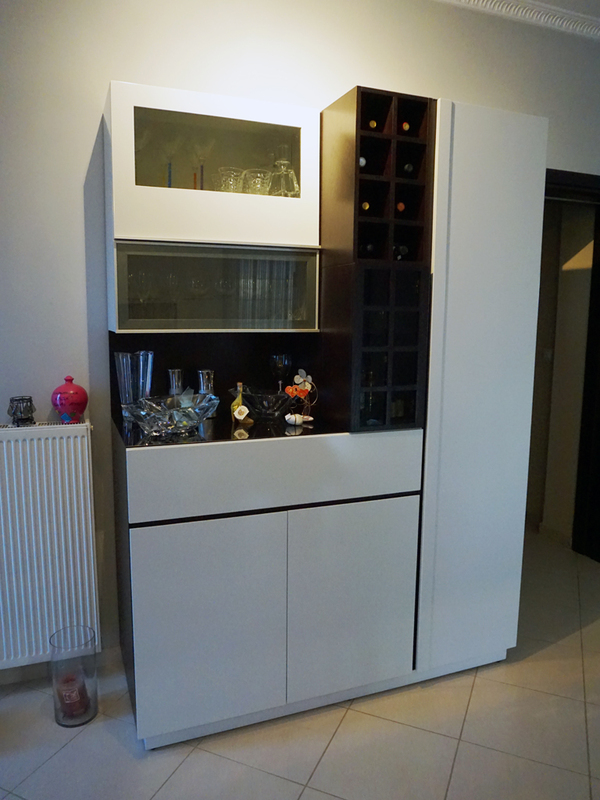 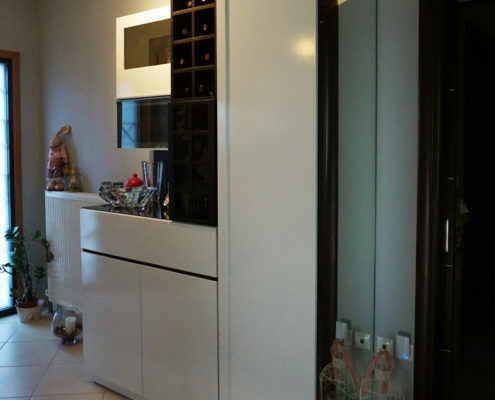 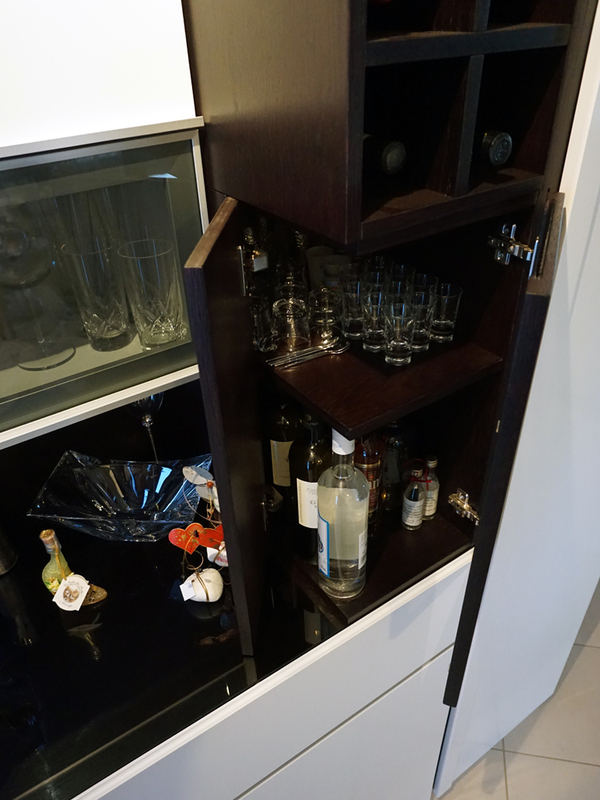 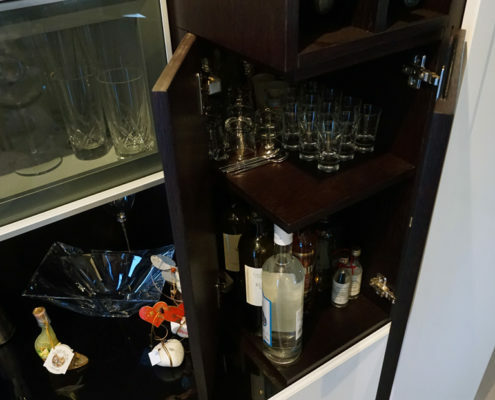 She demanded furniture that would contain cava, closet, drawers and cupboards for storage. 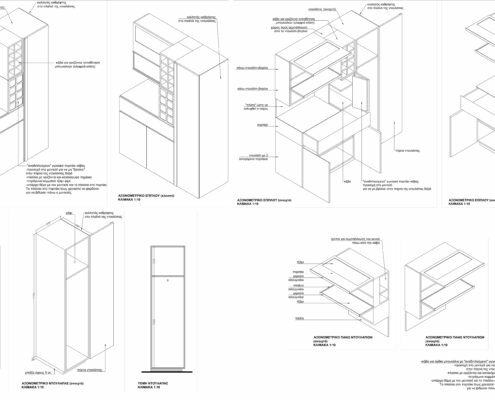 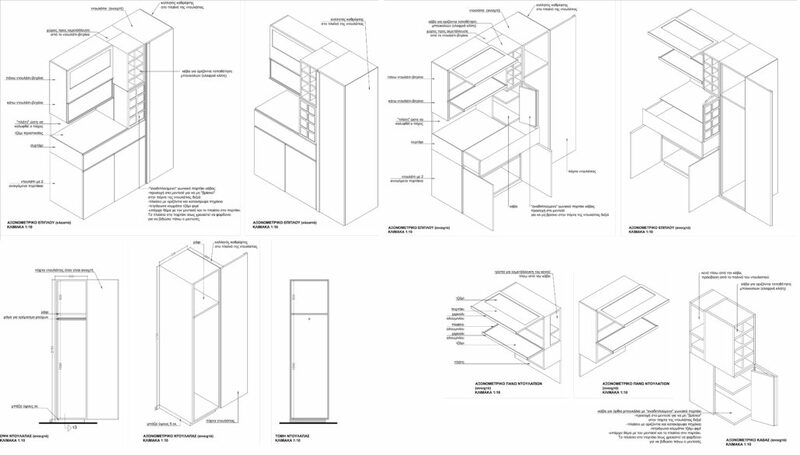 The concept was to design furniture that would be a wardrobe and that a console in the entrance of the house. 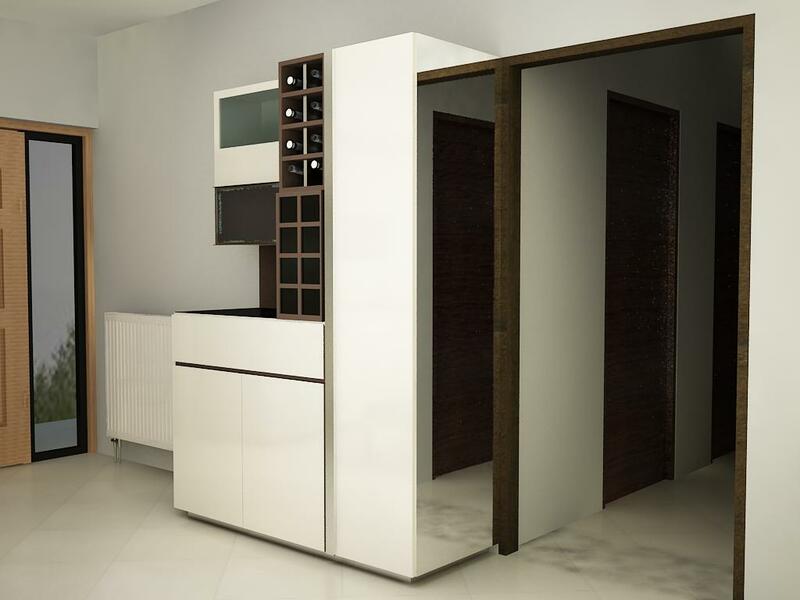 On the right side of the closet the mirror makes space seem bigger and serves as a beauty accessory. 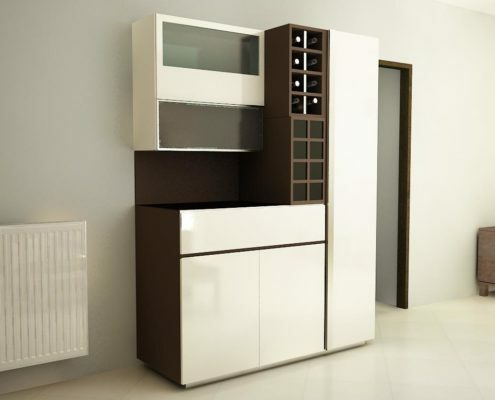 The proposed material is vanilla lacquered wood combined with brown wedge color. 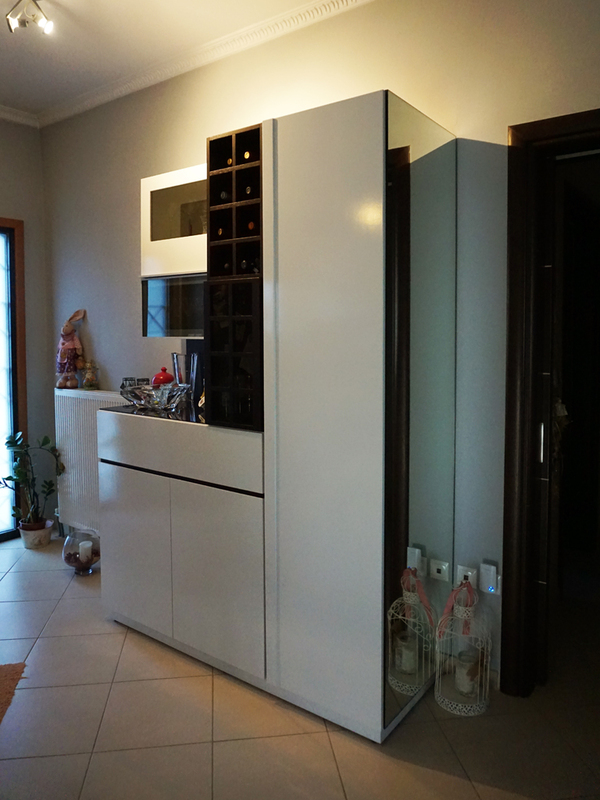 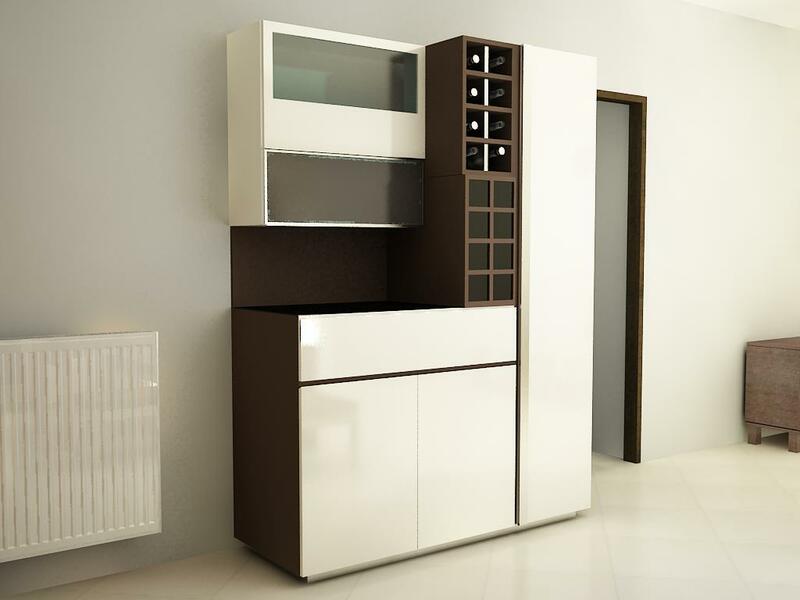 The upper cupboard doors are proposed semitransparent glass with alluminium frame.